June 20, 2016 by Beeraj Patel, Esq. Marriott. The Four Seasons. Hilton. Starwood. They’re just a few of the world’s largest hotel chains. They’ve also all turned to financing from EB-5 investors to build recent construction projects. It’s arguably a win-win for foreigners who invest at least $500,000 into these projects in exchange for permanent U.S. residency, and for developers who may need more capital to bring a construction idea to fruition. Why hotels versus other types of EB-5 projects? Research shows hotels are the most popular type of EB-5 project, and for good reason. First, in addition to a capital requirement of a million dollars (or $500,000 for projects in targeted employment areas) in a new commercial enterprise, the EB-5 visa program requires the creation of at least 10 domestic, full-time jobs. Hotels generally create a wealth of jobs, both directly and indirectly. With that said, it is important to note that a hotel may have multiple investors that pool money to build the project. Therefore, when it comes time to show a particular number of jobs have been — or will be — created, the investors will divide the total number of jobs proportionally, based on the percent of money each has contributed. Developers can use economic modeling, based on the project’s size, location, brand, budget and projected revenues, for example, to help determine how many jobs the hotel will yield. A developer may want to show an EB-5 investor there will be a cushion of excess jobs created; in other words, he or she may want to prove more than the mandated 10 jobs will result from the investment. This will serve as a safety net of sorts as United States Citizenship & Immigration Services officers consider granting a visa to the investor. In addition to generally fulfilling job creation requirements, when an EB-5 applicant is considering the type of project in which to put capital, he or she may conclude that hotels are “safer” investments than a bevy of other types of construction projects. Many hotel brands that use EB-5 money have a proven track record, and as real estate properties, they might be more stable than other types of development. 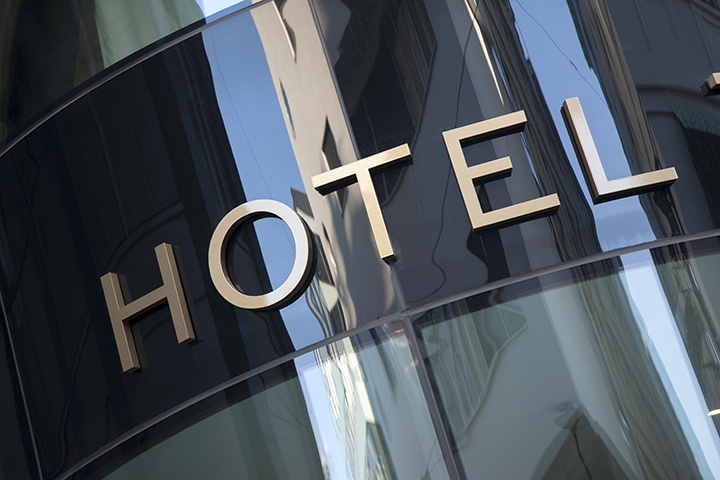 Though hotels are often a popular choice for EB-5 visa applicants, it’s necessary that a potential investor do the legwork to determine if a particular property is a wise selection. The investor should research whether the developer has: (1) drawn up plans on the project, including budgets, letters of intent, and any permitting or zoning documentation, (2) a strong background and a record of success, (3) committed money to the project — less than 20% equity may be cause for concern, (4) secured commitments that will cover the cost of the project as a whole. Regional centers are a useful means by which to register and find hotel projects, and in fact, sponsorship by a USCIS-approved regional center is often a requirement for a hotel to get credit for jobs created. Here is a list of regional centers that can be found. In addition to the preliminary work described above, such as drawing up plans, committing money to the venture and registering with USCIS, hotel developers will need to undergo several steps to secure EB-5 financing. Those include determining the number of jobs as a whole that will be created by the project and confirming they meet USCIS requirements, possibly hiring an EB-5 attorney to serve as a liaison between the developer and regional center or any other capital-raising bodies, such as brokers that work with EB-5 applicants, supplying letters of intent and key details about the project to those entities, prepping investment and loan documentation, and preparing marketing materials designed to attract prospective EB-5 visa holders to the project. Following this, the developer can actively market the hotel to these investors, who will need to consent to a subscription agreement, provide the money required and commence the immigration process with USCIS. Subsequently, developers will keep investors abreast of the stages of the project by providing periodic reports that will assure financial backers — and the government — their money is being used in accordance with EB-5 rules. EB-5 investors also will need to prove the project is still ongoing while the I-829 visa petition is pending. Moreover, they’ll want to know their investment is sound, and the project is a success. Please visit our blog for for more information on what you need to know about an EB-5 visas. To learn more about U.S. visas and the immigration process, and to take advantage of our array of immigration services, please contact KPPB Law by giving us a call or sending us a message online.